First you will need a cutting board, and a large chef knife. 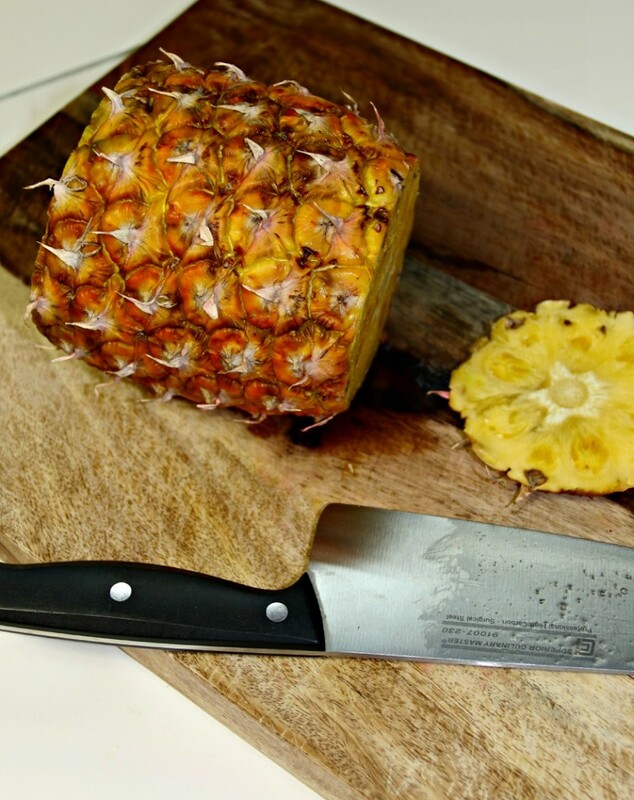 Then start by cutting off the top of your pineapple. 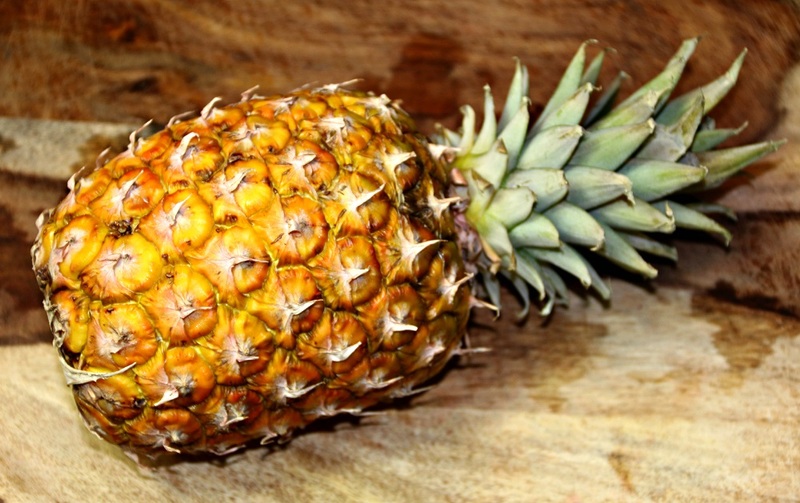 To do this place pineapple on its side. 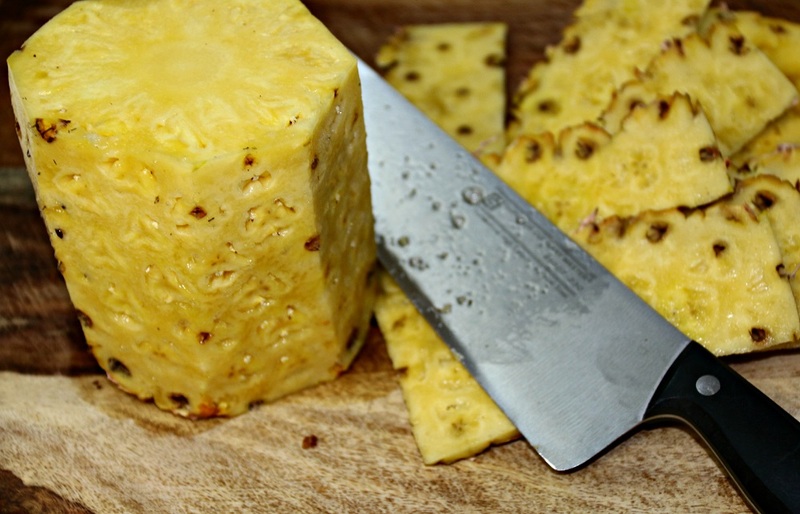 Then cut off bottom, while pineapple is still on its side. 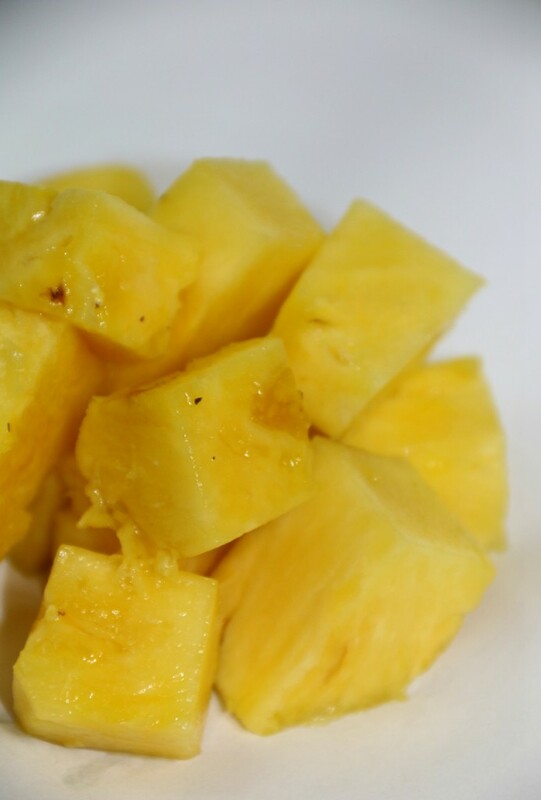 Then with your pineapple standing upright, slice off the sides, you want to work your way around the fruit. Once skin is removed carve out any remaining “eyes” with the tip of your knife. 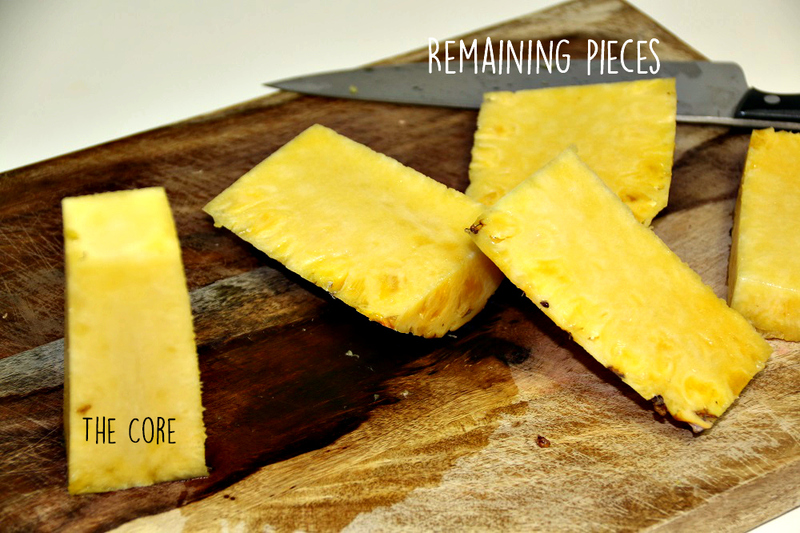 Then with your pineapple standing upright, find core and cut off each side. You will have 4 side in total. Throw core out , cut sections into bite sized pieces. 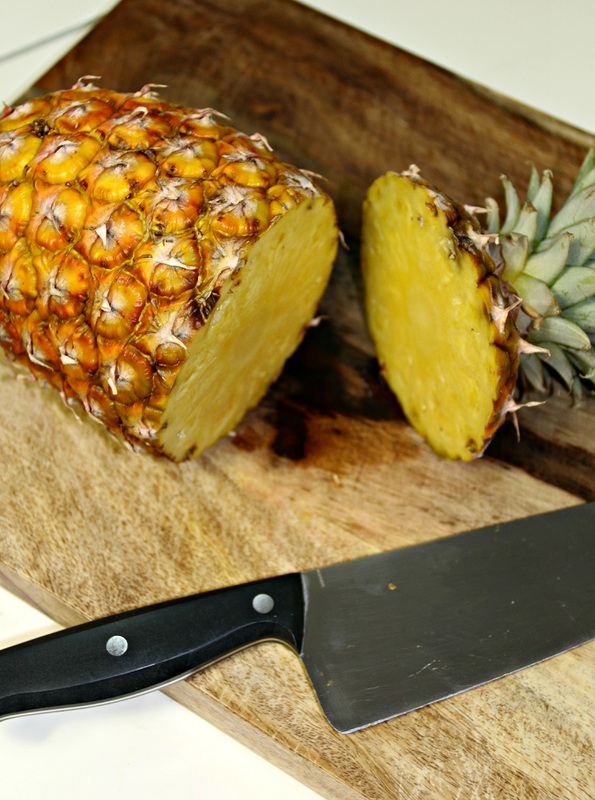 This entry was posted in Kitchen How To's and tagged cutting fruits, fruit, fruits, how to cut a pineapple, knife skills, pineapple.